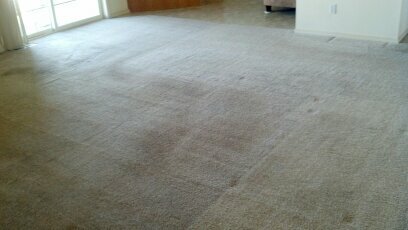 Power stretching is the “Clean Trust” approved method of stretching your carpet. If it is stretched properly, you will be increasing its life as well as dramatically improving its appearance. 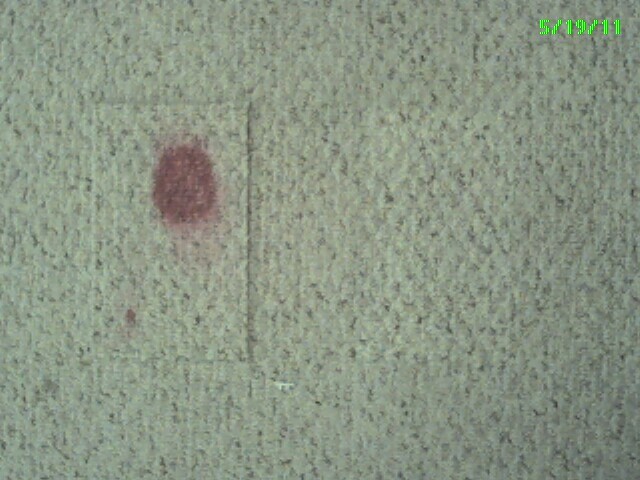 The most common reason for buckling is improper carpet installation. See the Carpet and Rug Institute Installation Guidelines (CRI 104 & 105). 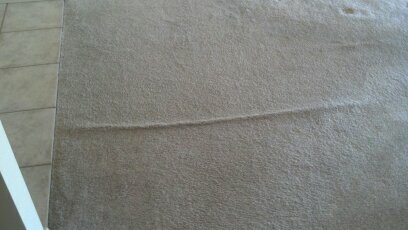 Before and after photos of a recent re-stretching and cleaning job. 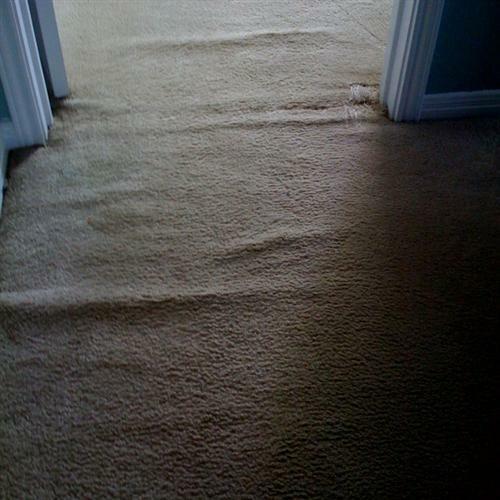 If you have a spot that needs to be patched, repaired or replaced, or if your carpet is loose from the transition, we can help with that as well. Notice the fray in the doorway. It was completely removed. 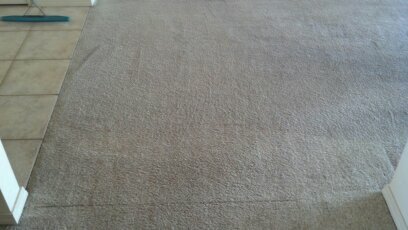 This photo was taken before cleaning to show the repaired area on the right. Otherwise you would not be able to see it! 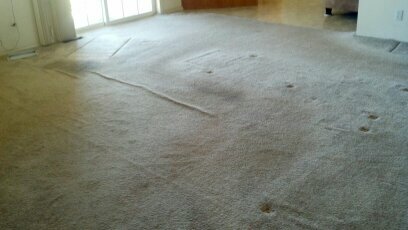 Once the carpet is cleaned, the fibers will be more aligned (and once again the same color), and the repair will blend in completely. The lighter colored rectangle (right) is a new piece that replaced the stained area that had been taken out (left).